With every other state in New England passing minimum wage increase bills in recent years, pressure has been mounting on New Hampshire lawmakers to do the same. As a consequence, both chambers of the state legislature recently did just that, and while their bills differ in the details, the general idea is the same: raising the Granite State's minimum wage to $12 per hour over the next few years. Currently, New Hampshire does not have its own minimum wage in place, instead using the federal minimum of just $7.25 per hour, but it is now edging closer to going well beyond that number, according to the Concord Monitor. Just days after the House of Representatives passed a $12 minimum wage increase, the Senate followed suit, though there are some concerns about challenges from opposing lawmakers and even the governor. The House's framework for the bill is more aggressive, moving the minimum wage to $9.50 starting in 2020, climbing to $10.75 the next year, and hitting $12 in 2022, the report said. Meanwhile, the Senate's offering would raise the minimum wage to $10 per hour in 2020 and keep it there for two years before rising to $12, also in 2022. Potential exceptions are built into both bills, such as for businesses that provide more sick time, have tipped employees, or workers under 17. 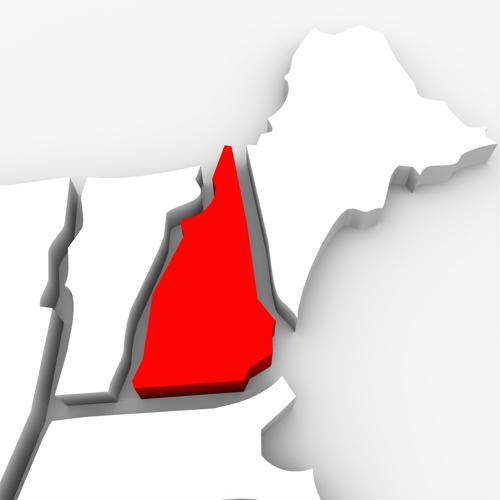 Worker advocates in New Hampshire say it's important for lawmakers to ensure the state is keeping up with regional trends, according to Manchester, New Hampshire, television station WMUR. Its $7.25 per hour is the lowest in New England by nearly $3, trailing Connecticut's $10.10, which itself is being discussed in the Nutmeg State as being too low. All three states that border it - Vermont to the west, Maine to the east, and Massachusetts to the south - currently have minimum wages of at least $10.78, and all are rising. Lawmakers, of course, understand the importance of keeping New Hampshire attractive to workers, the report said. The nearest state with a similarly low minimum wage is Pennsylvania, also at $7.25 per hour. "The people that are doing what we, as a society, ask of them, by working hard and putting in a hard day's labor, should be able to do the basics for their family," Rep. Kris Schultz, a Democrat representing Concord, told the station. "You should be able to afford food, rent, transportation and all of that." Currently, about half of all workers in the Granite State earn less than $15 per hour, though most make more than $7.25, according to the New Hampshire Business Review. Critics nonetheless say the present conditions are untenable because they effectively ensure anyone earning something even close to that level remains in poverty. Whether these bills will be consolidated and passed remains to be seen, however. Even if the state does not ultimately raise its minimum wage in the near future, the fact is that companies must do more to attract and retain workers in competitive job markets. That typically means not only increasing salary offerings, but also providing better benefits and other perks.